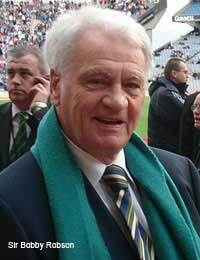 Italia 90 saw the pinnacle of the team building that England manager Bobby Robson had been performing since the previous World Cup where his England team had gone out to Maradona’s two goals in Mexico (one fraudulent, one brilliant). The team had then romped through qualifying for the 1988 European Championship, winning all but one of the matches, but inexplicably bombed out of the tournament proper, losing all their group matches and finishing at the bottom. So after a less effective qualifying campaign for the World Cup two years later, with England securing the qualifying place for the second-best runner-up spot, after a campaign that included three goalless draws out of six matches, the nation was a little apprehensive. The nation was right. Kicking off with a continuation of the draw-fest against the Republic of Ireland and then Holland, a win in the final game of the group stage would be enough to go through, and as it was against Egypt, it should have been a formality. As it was, the team scraped through with an unconvincing 1-0 win to set up a second round tie with Belgium. However, this was largely down to Bobby Robson, exasperated by the draws and forced to make changes with captain Bryan Robson injured, switching to a 3-5-2 formation with Mark Wright coming in as a sweeper (and incidentally, nodding in the goal from a Gascoigne free kick). The tie against Belgium carried on the propensity toward draws, England finally breaking the deadlock in the 119th minute with a superb volley by David Platt from a Stuart Pearce free kick. This led to a quarter-final with Cameroon who shocked England by taking a 2-1 lead, but in the end they gave way, victim to defensive indiscipline with Lineker dispatching two penalties to win 3-2. The meeting in Turin was to be the toughest test, facing the pre-tournament favourites, West Germany, who had been producing very impressive team performances with some great individuals in the side, such as striker Jurgen Klinsmann, who joined Spurs after the 1994 World Cup, midfielder and captain Lothar Mattheus, who was to become a legend, the most capped player in German football (150), and ace marksman Rudi Voller. Crucially, six of the West German side played their football in Italy and were very comfortable with the stadia and the atmosphere. England, by comparison, had very few players with recent continental experience as English clubs were still on an indefinite ban from any European competitions after the Heysel Stadium riots of 1985. The first half was eventful but without goals, even though both teams created chances, one being Waddle’s audacious attempt to chip the German keeper almost from the halfway line. Gascoigne and Pearce also went close and Shilton, in the England goal, wasn’t unduly troubled, so the first half was probably just shaded by England. Into the second half and it was first blood to West Germany on 60 minutes. A free kick was tapped to Andreas Brehme and Paul Parker rushed out of the England wall to charge the kick down. The ball took a wicked deflection off Parker’s shoulder and looped over Shilton. Twenty minutes later England equalised with a sublime through ball into the area that Lineker deftly controlled and volleyed back across the goal with his left foot. Extra time beckoned, the third match in a row where England had had to play for 120 minutes. Both teams hit the post, Waddle for England and Buchwald for West Germany, but although there were no further goals, there was further drama on 99 minutes when Paul Gascoigne was booked for a lunge on Thomas Berthold. As it was Gazza’s second booking of the tournament, he realised that he’d not be able to play in the final if England got through, and the famous tears began to flow. Despite this he played on as well as before and is generally accepted, across the whole match, to have won the midfield battle with Mattheus, and England finished the extra period as the stronger side. Penalties – Why oh Why? The penalty shoot-out was the first England had faced but it was West Germany’s fourth, and experience told as the German’s clinically despatched each spot-kick. Rumour has it that Robson toyed with the idea of replacing Shilton with Dave Beasant during extra time, as Beasant had a better penalty saving record, but that is not to say that Shilton was in any way at fault. England matched the Germans initially, with Lineker, Beardsley and Platt all scoring, but then Stuart Pearce, normally bulging the net with his thunderbolt penalties for Nottingham Forest, placed his strike too close to Illgner, the West German keeper, who saved it. Then Chris Waddle skied the ball so high it was probably never recovered, and England were out, their only consolation being that they had succumbed to the best team in the tournament. Possibly the worst thing about this defeat was that if England had managed to go through they would have played an Argentinean side who, although they had got to the final, were not playing well, relying on negative play and aggression to scrape draws and progress via penalties. Gascoigne would not have been able to play in the final, but although he could swing a match in a second of brilliance, he would also have been the most likely to rise to Argentinean baiting and been sent off. So an England without Gascoigne but with Lineker at the front and a midfield truly on song, backed up by a solid defence, would have had a great chance of winning the trophy outright. Sadly it was not to be, and West Germany went on to beat Argentina 1-0 in what is widely accepted to be the worst World Cup final ever, with Monzon of Argentina being the first player ever to be sent off in a World Cup final, and Dezotti, also of Argentina, the second, twenty minutes later. England lost the third place play-off to Italy but won the Fair Play award for the tournament. Lothar Mattheus received both the German and European Player of the Year awards, and the first ever FIFA World Player of the Year award the following season. And after this tournament FIFA, disturbed by the negative play and plethora of drawn matches, introduced 3 points for a win.